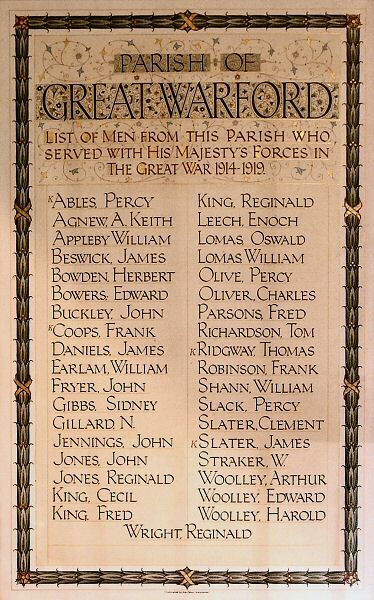 I have just read of your plans to investigate the names on the War Memorials of Nether Alderley and Marthall. 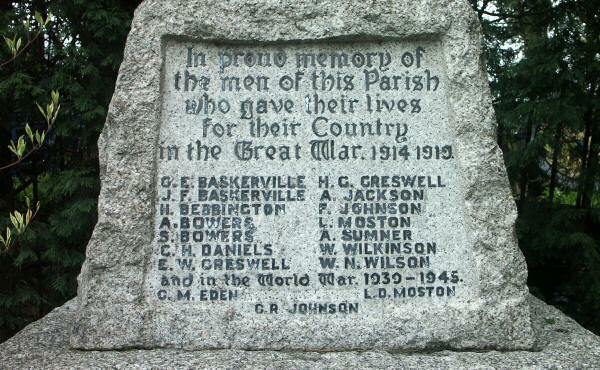 I am planning to devote the whole of our Sep 2014 journal, Cheshire Ancestor, to the First World War. In it I am planning to record what is happening in the county so that our readers, many of whom do not live in Cheshire, will know what research is being undertaken and who to contact to find out about that research. Please could you let me have details and a contact address so that I may include details of your research. Fascinating research, Claire. I shall be sending some of the information you have gathered to the Mayor of Cheshire East, Councillor Wesley Fitzgerald, for him to use at the Tree Planting Ceremony at Lindow End, Great Warford on 25th October, when the residents of Great Warford honour the memory of the men of Great Warford who fought in World War One.